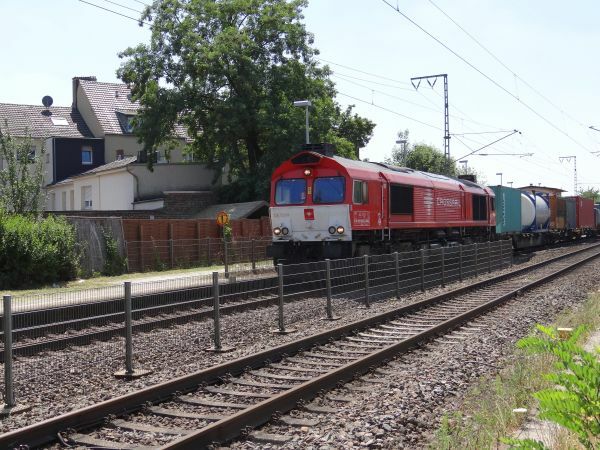 A class 66 diesel hauling a cargo train from the Antwerpen harbour in Belgium towards Switzerland. The operator is the Swiss company Crossrail. 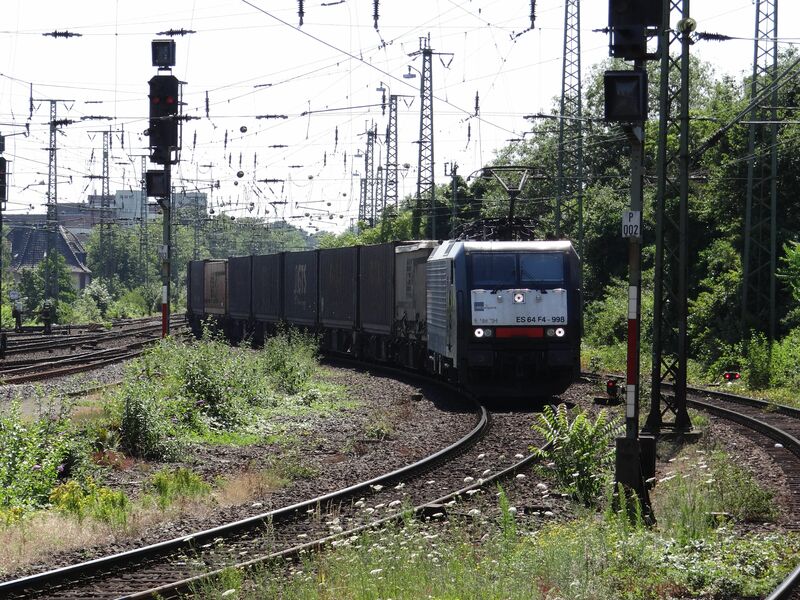 Picture by the German side of the (two) borders, at Mönchengladbach-Wickrath station 10.7.2015 by Ilkka Siissalo. Locon is a major German open access rail company with a Benelux subsidiary. This locomotive is a Siemens built ES 64 F4, also known as the German class 189. It is owned by the leasing company MRCE Dispolok and leased by Locon. This train arrived from Antwerpen in Belgium, but has here already reached German territory at Mönchengladbach Hauptbahnhof. Picture 10.7.2015 by Ilkka Siissalo. 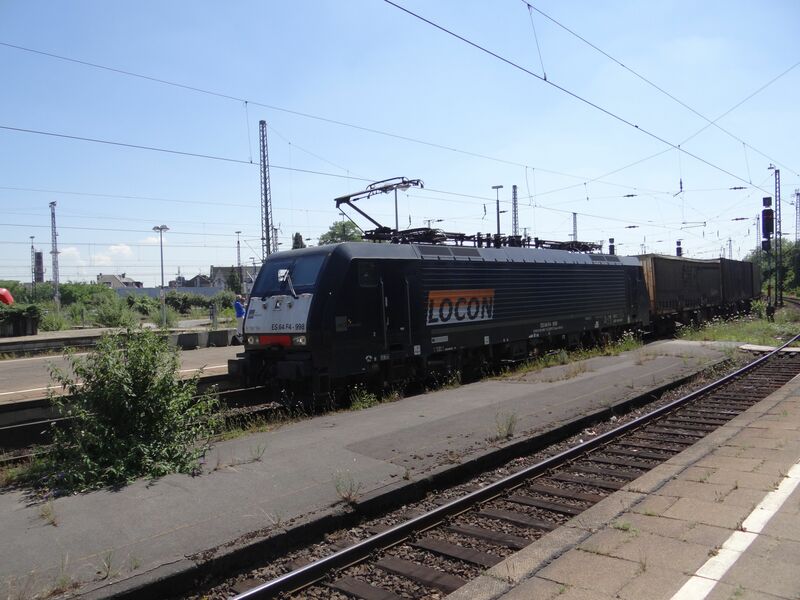 Another shot of the same Locon Br189 as it approaches Mönchengladbach Hbf station. 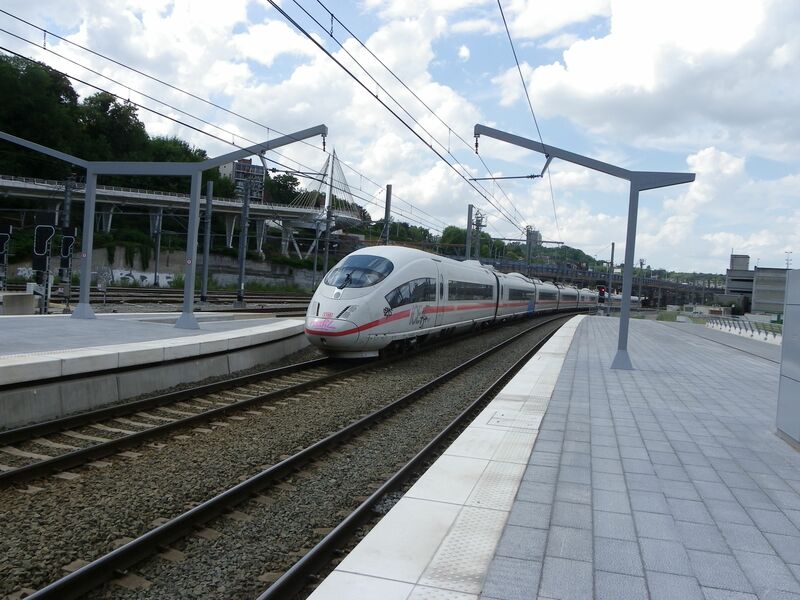 German ICE 3 bullet trains of the classes 406 and 407 trains are used in fast services between Germany and Paris together with the French TGV POS trains. 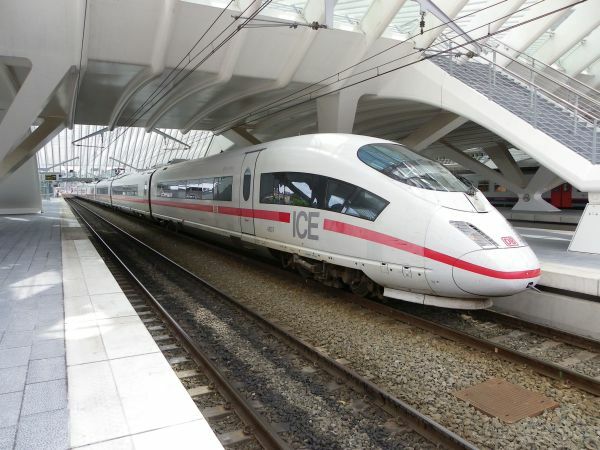 This is a German DB class 406 bullet train, an ICE 3M on its way from Paris to somewhere in Germany stopping at the Liége (Lüttich) station in Belgium. The same DB ICE 3M leaving Liége towards Germany. The poor beautiful train has suffered from an awful graffiti attack on the side of the second coach from rear and there's also some ugly smudge at the rear front. 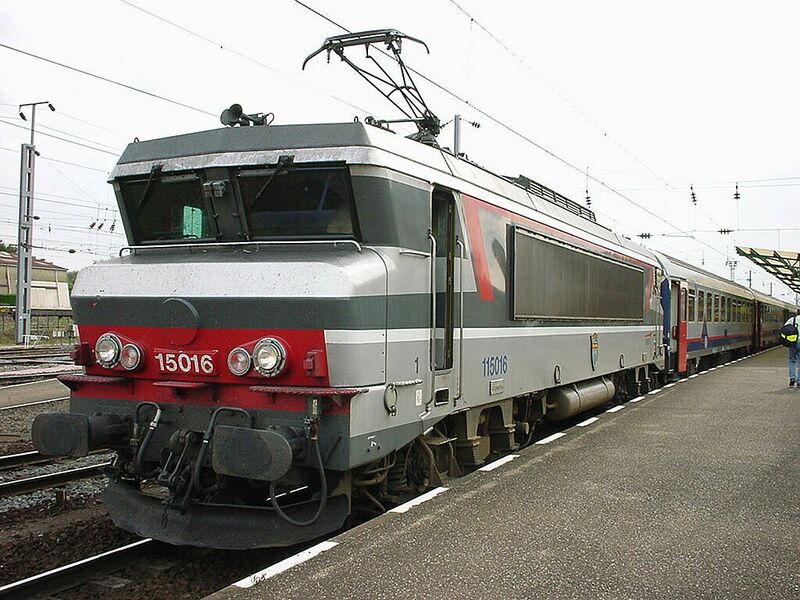 An international EuroCity train approaching Belgium, but here still in France and with a French SNCF class BB15000 locomotive. This was the EuroCity Milano-Brussels on 8.9.2002 in Thionville. Coaches were Belgian and Italian. 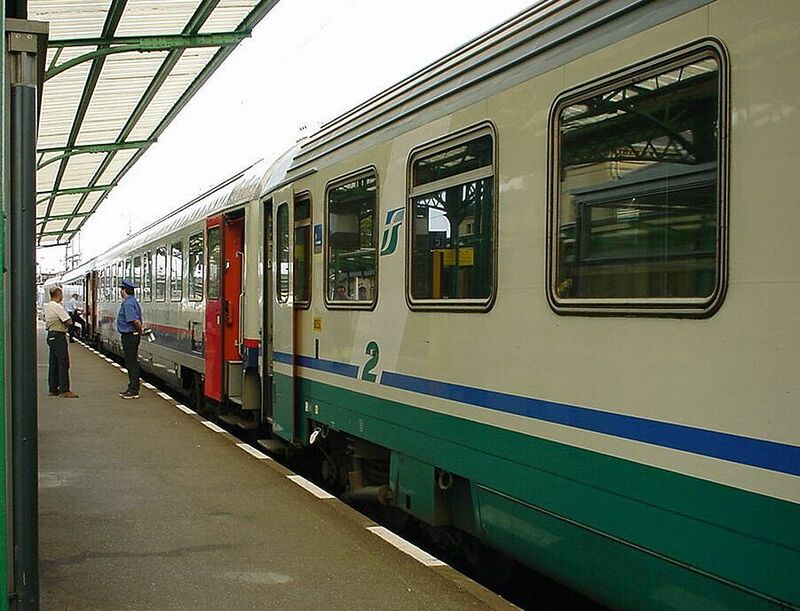 Same train as above, but this shows the Italian and Belgian coaches. Picture from Thionville 8.9.2002 by Ilkka Siissalo.